The MFS Atomizer Sale ends TODAY (11/5), so I wanted to give you guys a heads up on these deals before it was too late. 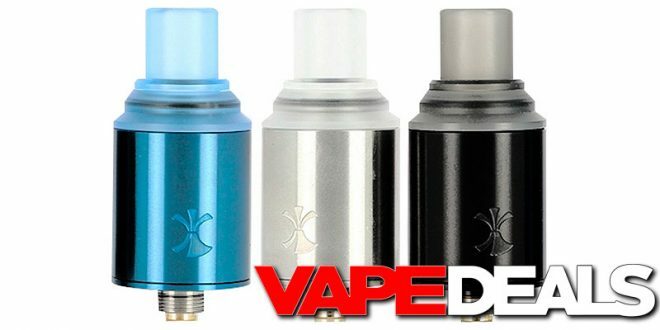 Act fast and you could pick up a Digiflavor Etna RDA for only $21.21 or a Vapefly Pixie RDA for $16.11. Just be sure to apply coupon code “15SPOOKY” at checkout to get the extra 15% off. Either way, it seems like a great deal if you’re looking for a single-coil BF RDA. I’m pretty sure those are the lowest US prices out there right now too…but they won’t be around for long.